We’re in for a very, very insane ride here, kids. After her stunt with Nick St Clair (you know, in which she turned the tables and held him for ransom), Veronica is being “courted”. The other families of the mob are interested in doing business with the Lodges. So they send their sons to Veronica with business ideas to pitch to her. And because she’s a boss, Veronica is absolutely glowing with the idea of a challenge. She goes through the boys pitches pretty quickly. But one, a casino, catches her ear. She agrees to move forward, intending to use the ransom money to fund her business venture. But Veronica’s business idea is quickly shot down by her father. Claiming that the family of the boy is, in fact, super shady Hiram tells her that there’s no way to have a cleanly-run casino. And the Lodges don’t shady business anymore! Of course! But Veronica becomes even more determined, seeking out Former-Mayor McCoy’s legal advice on how to do things legally. In the week leading up to the debate, Archie is going door-to-door supposedly campaigning for this father. But in fact is looking in everyone’s eyes to find the Black Hood. Hiram suggests that Archie reform his Dark Circle gang. That way, the gang can work with the new sheriff. One that knows Hiram Lodge pretty well. Unsurprisingly, though, it’s all part of Hiram’s plan to create unrest in Riverdale. He’s such a cartoon villain, that I feel almost certain that he’s going to get his comeuppance before the season is through. Things begin to get more tense in Riverdale when Moose admits that Midge was fooling around with a Serpent on the side (ironic that this matters considering Moose’s consistent fooling around with other men). Reggie decides to become Extra-Reggie and fully takes on the responsibility for taking down the Serpent that killed Midge. See the giant leap in logic here? I mean, Reggie is a stupid jerk but certainly he’s not that stupid, right? Fangs admits to Jughead that he was the one hooking up with Midge. He didn’t go to Sheriff Keller because he thought he’d look guilty. Only now that he didn’t admit it, he looks even more guilty. On Jughead’s footage of the night of the show, Fangs can be seen in the dressing room “giving notes” to Midge in her dressing room. That footage, of course, is still at the sheriff’s office. Archie and Jughead go to meet the new sheriff together and get back the footage. Unsurprisingly, the new sheriff doesn’t hand it back. But instead decides to watch it for himself. The footage of Fangs is leaked. Later in the night, the Dark Circle arrive at the Serpent hangout, the Whyte Worm. They set a dumpster on fire and slash the tires of the Serpents motorcycles. Reggie tells Archie that Hiram is paying the Dark Circle to do his work. Thankfully Former-Mayor McCoy sweeps in to represent Fangs. She tells Jughead that without evidence enough to charge Fangs, he can be released with in 24-hours. But while those hours tick away, the people of Riverdale become more and more certain that Fangs has to be the killer (despite the fact that all he did was canoodle. Again, how does this make someone guilty in the sane mine of ANYONE??). Betty, meanwhile, is suspicious that her father might be the Black Hood (me too). So she goes to Cheryl for advice. Cheryl suggests going to the police, but Betty is convinced that she needs to confront him herself. So they both agree to investigate for hard evidence. The youngest Cooper finds her way in by offering to work at the register with her parents in the lead-up to the debate. She finds her dad’s planner and cross-references every Black Hood attack with his schedule. All of the dates match up. While in the Register‘s offices she receives a call from the coroner that a corpse showed up. Betty is certain that it is Chic, and admits what she did to Cheryl. But the boy is not Chic. But the guilt cripples her anyway. That night, Betty admits to her parents that she had been in contact with the Black Hood, and that she had ‘delivered’ Chic to the Black Hood. Hal admits to Betty that he too has “the darkness” inside. Then he says, “that’s why we need each other.” Making him look all the more crazy. Cheryl and Betty break into the B&B room that Hal was renting. Cheryl finds The Nancy Drew Secret-Code Activity Book among his things. The same book that the Black Hood used to write a cipher for Betty. When she confronts Hal about the book, though, he claims that it was a birthday present he was saving for Betty. At the debate, Hermione reveals that the Dark Circle was started by Archie. 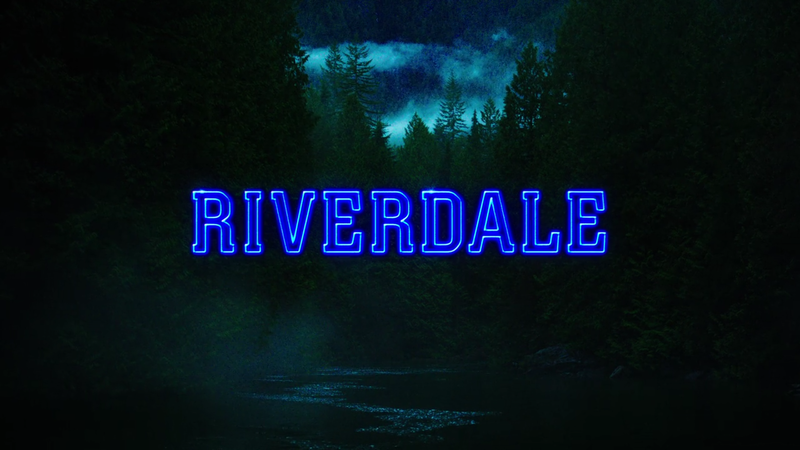 Once the group that aimed to keep Riverdale safe, the gaggle of boys are dark and sinister. But before anything can come of it, Veronica spots the Black Hood in the loft. He takes his gun and begins open firing on the crowd, mostly aiming at Fred Andrews. This all happened despite the new sheriff’s insistence that the security would be tighter due to the threatening note that Fred received. But importantly, Betty seeks out her parents during the shooting and finds her dad in the crowd, making him seemingly innocent. But Betty still seems determined that her father is the one orchestrating things. Veronica becomes irate when she sees how upset that her mother is after the shooting. Veronica tells Hermione to step-down but Hiram refuses to allow her to do so. She switches sides and goes to the Andrews household to pledge her allegiance to Fred’s campaign. Archie dives to stop Reggie but the gun still goes off – striking Fangs in the stomach. It’s a very well-shot scene and despite the fact that Fangs is pretty much a throw-away character, it’s pretty hard to watch. The shooting pretty much spells the end of days for peace Riverdale, though. Their judgment of a boy not on trial is awful. It almost makes you think that the Black Hood has the right idea. But the episode doesn’t rest on Fangs. While Betty awaits her father in “the place where it all started.” Cheryl gets a visitor at her home – a man with green eyes in a black hood.